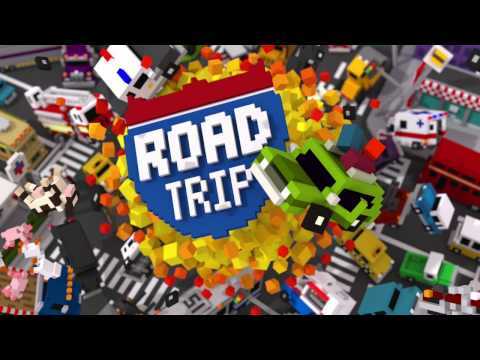 An endless driving game with insanely realistic crashes.See how far you get before you hit a log truck, golf cart, steam roller or all of the above!==HOW TO PLAY==* Swipe left and right to change lanes* Watch in horror as your Road Trip comes to an end in the worst way possible* Watch a replay and relive that horror* Send video replay to a friend so they can experience the horror* Try again!== FEATURES==* Super fast driving, super realistic crashes. * 33 different cars, more added all the time. * Explosions, people getting out of cars, golf clubs, and lots more stuff happens after you crash. * Construction sites, tunnels, intersections and more. * Video replays of every crash that can be saved to your gallery, send via text message, posted to Youtube, whatever you want.Tell us what car you want to see next and send us your crash videos!